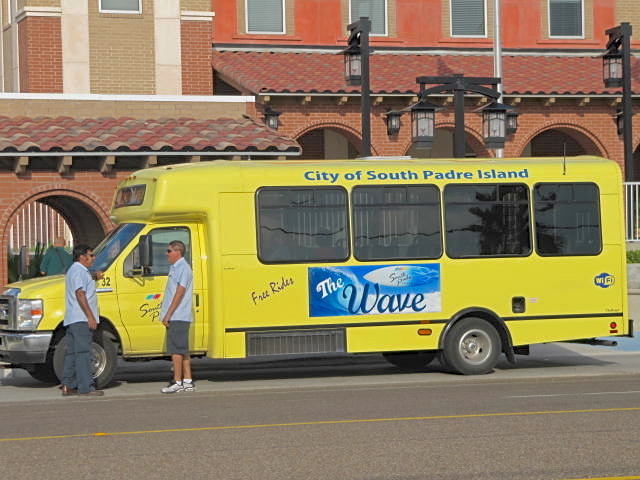 The City of Brownsville, the City of McAllen, the City of South Padre Island, and Valley Transit Company have established a three legged intercity route that will provide non-stop intercity service from UTPA to McAllen, from Brownsville to McAllen, and from Brownsville to South Padre Island. Connecting regional hubs in the area and a commitment to seamless transportation were the primary driving forces for this project. The unveiling of this exciting new project took place this morning on the steps of the E. Adams Street entrance to La Plaza at Brownsville terminal located at 755 International Blvd. in Brownsville. They are now ready to go!